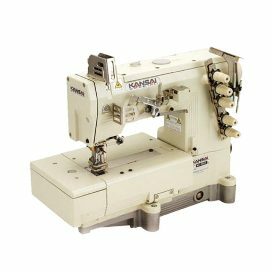 Is atbed, high speed, high performance with top and bottom cover stitch, to be applied for any type of fabric and operation like plain stitch, covering, attaching elastic lace, taping, attaching pocket facing, shell stitching plus tape binding, and so on. 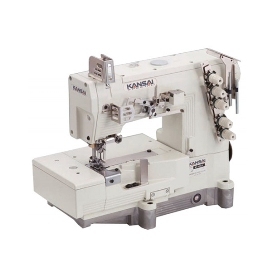 Stitch length can be adjusted by push bottom easily (max. 4mm, 6 stitch/inch). This series is most suitable for knit fabrics in order to achieve uniform, flexible and beautiful stitch formation. 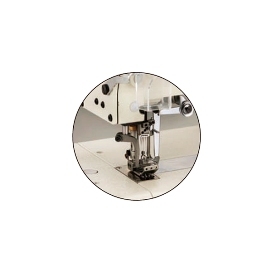 3 needle,flatbed,high speed,top and bottom cover stitch machine for plain seams.